We appreciate your participation and look forward to working with you to promote your business! If you have any questions, please email davidwells@sonomavalley.com. 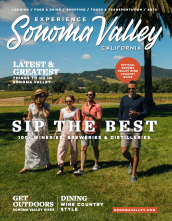 Visit the Sonoma Valley Delicious microsite.